Infinite Space: Sustainable paper for my new novel! I have written before on this blog about my attempts to green up the act of my otherwise excellent publishers*. Well, there seems to be some positive movement, and perhaps my letter campaign has contributed a little to it. According to someone I work with at Sceptre, a new Hachette committee has been set up "to develop a group policy on corporate social responsibility for ethical and environmental matters, such as paper sourcing and recycling." Now this may sound like greenwashing but I'm going to suspend my scepticism and take it as a sign of progress. I no longer doubt Hachette's good intentions, merely their resolve. To keep the company on track, I know that a growing number of Hachette authors - some of them 'important' - are making noises about the sustainability of their books. One of Britain's best-selling writers told me that he has made it a contractual condition that all of his titles should be printed on FSC paper; that is, paper made from sustainably managed forests. Another novelist of my generation - a justly celebrated one - has written to Hachette's management expressing his concerns, as have Victoria Finlay and the philosopher A.C. Grayling. Of course it isn't possible for a company as large as Hachette Livre UK to change its wood-pulp purchasing overnight; and the company continues to lag behind its competitors. 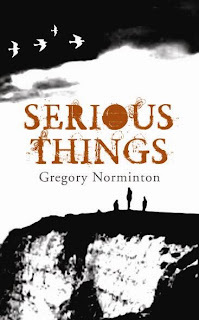 But even from my relatively humble position, I have been able to secure a promise that my new novel, Serious Things, will be printed on FSC paper, complete with logo accreditation. Let's hope other authors apply the same pressure. Then we can start to push for more books to be printed on recycled paper!